I'd just like to take a moment to appreciate that...the thread that preceded it only lasted about 40-50 pages if I'm not mistaken (?) and it was deleted for devolving into a bickering match, so I would personally like to say good on us (being everyone who posted in the most recently deleted thread), as we maintained it for 5 long years, good job to all involved I say. I would also like to say the Red Coaches look fantastic by the way. The windows on that brake coach really are amazing, can anyone tell me the differences between the model era Red Coaches and CGI era coaches? As I recall a difference with the roof colouring being mentioned, are there any other key differences? I just want to wish you best of luck MrBob! 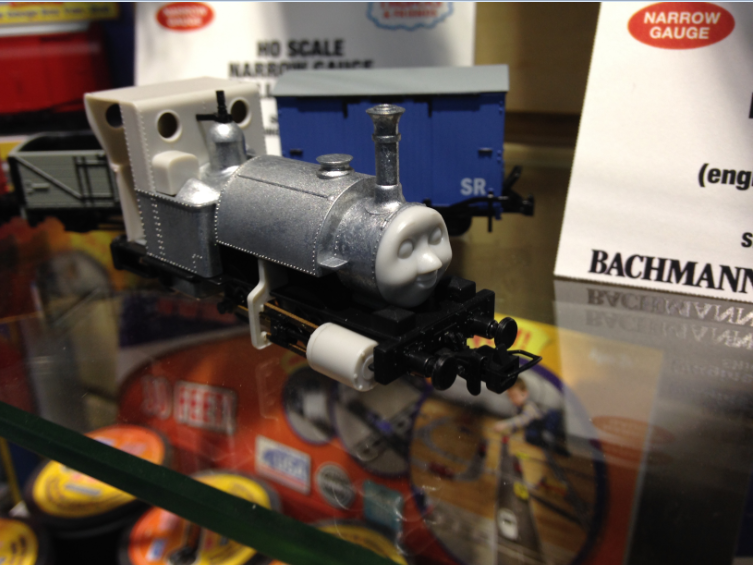 I am here at the show right now and I managed to speak with some representatives from Bachmann (including the Bach-man). 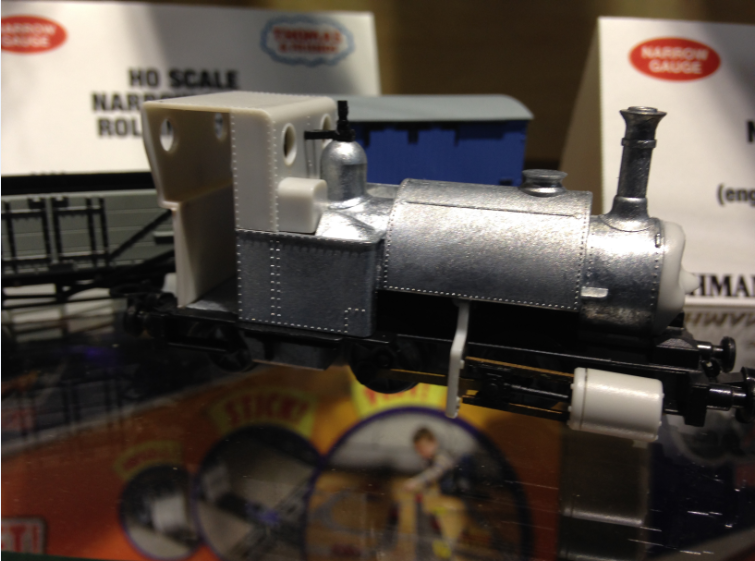 It's only been day one of the show and already I have something to share with everyone... Prototype Skarloey model pics! The Bach-man even let me hold him! More pictures from the show coming soon! 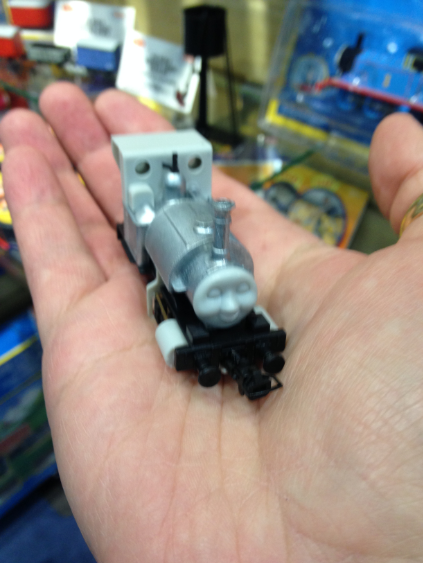 Wow that looks like the size of a the Ertl Skarloey. It would probably be interesting if you brought an Ertl (or Take-n-Play) for a comparison. BTW, any tooling of Oliver, Toad, and even Winston out of curiosity? Can't Wait for them, but probably should go for the Red Coaches first. OMG! Is that Bachmann Skarloey?! *tears up* it's beautiful! Any word on a release date? I think the most interesting part is the models rivets aren't patterend after the CGI model, they're patterned after the real Talyllyn. The funny thing is the Bachmann rep mentioned that there will be more details added to the model too, and of course the paintwork as well! Today was a great day down at the NMRA, and I had an absolute blast. Of course, there are only two days left and my club and I will still be there running trains. Looking forward to more run-ins with Bachmann this weekend. I am really happy that everyone likes the Skarloey pictures! These products are currently delayed and will not be out by 2016. This is confirmed by a Bachmann representative I spoke with. He also said that it is not a safe bet to talk about James being redone in 2017 since things change in production (since this was originally due in 2015 but was put off til later). I think it is best that it is best to wait until photos of the model itself are revealed to confirm the changes, since revisions usually come in unannounced. 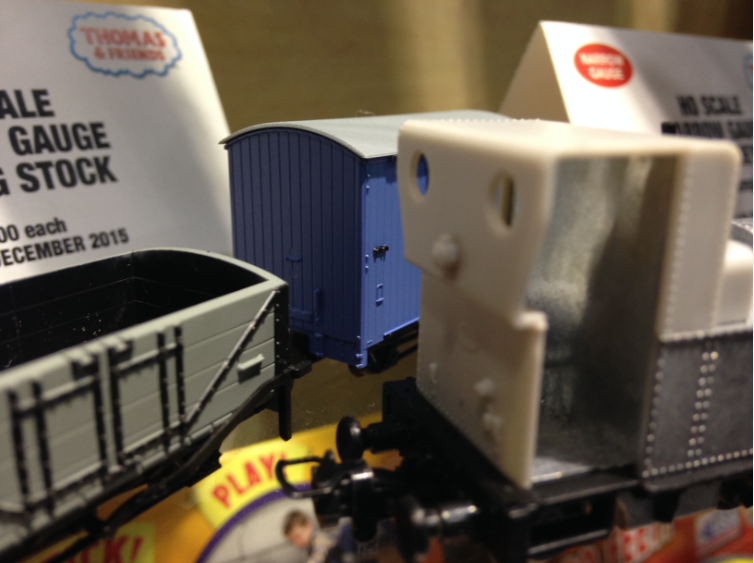 The release date for Skarloey and the stock December 2015, just in time for Christmas. 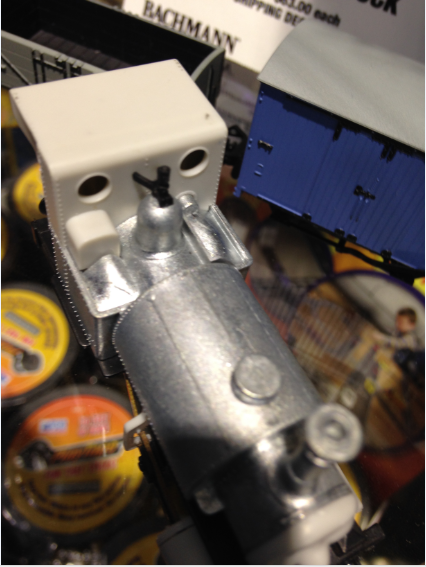 Chaz, is it possible that you will see Bachmann Oliver, and Bachmann Toad at the NMRA tomorrow, or Sunday? What do you mean released till 2016? You mean late in the year next year? I will not be able to see them at any of the other upcoming shows this weekend. These are products that will take more time for them to make and will not be released until 2016. I do not know an exact date for that year but I would assume around the summer of next year since this is generally when delayed products come out. Chaz, the minimum radius for Skarloey is 11''. You think he could navigate anything tighter? Yes, Oliver, Toad, and Winston will be out in 2016. I just asked the Bach-man this question for you today at the show, and he told me that he can go a 9 3/4 inch radius. Will upload more pictures tomorrow night.